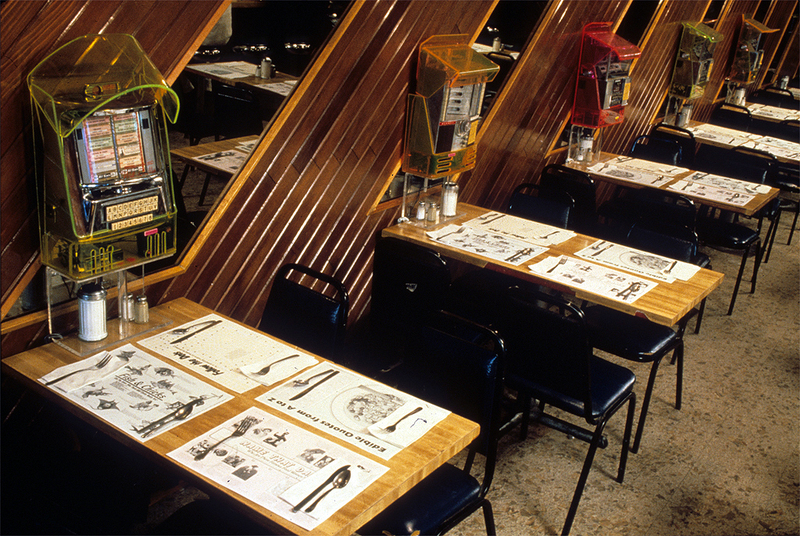 Site-oriented restaurant installations with Performance Poet readings at cultural sponsor sites. 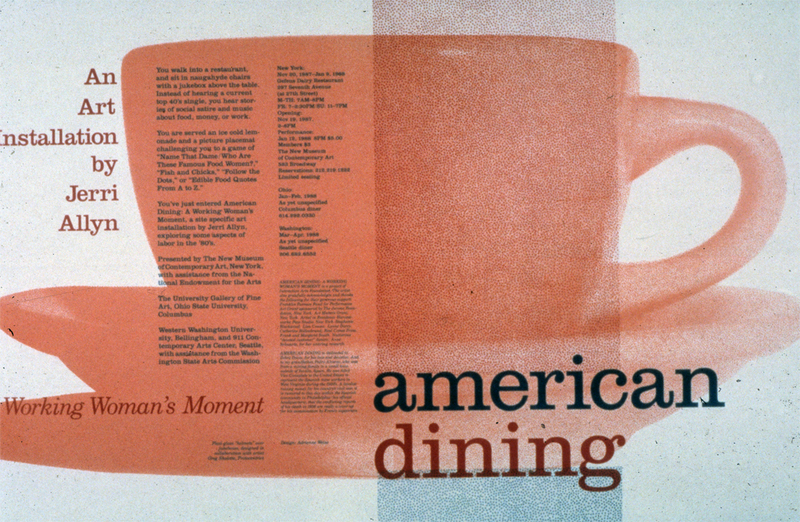 Allyn wrote humorous stories, with assistance from Leslie Belt and Lori E. Seid, and recorded a sound collage of music about work, food and money. 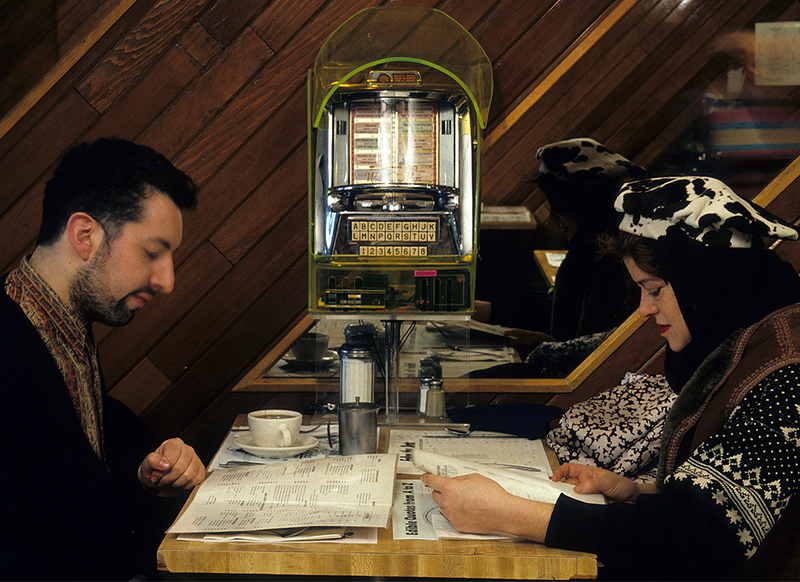 These played continuously on audio walkmans in transformed jukeboxes designed with Gregory Sholette. Accompanied by a set of 4 placemats designed with Adrienne Weiss. Facilitated by Allyn waitressing at each site. The element of time is essential to the unfolding of the experience as audience members engage and interact with the work. Gay Nineties Restaurant sponsored by Art in Action, Rosendale, NY; Maine Arts Festival, Portland, MA. PS1 Contemporary Arts Center, Long Island City, NY. 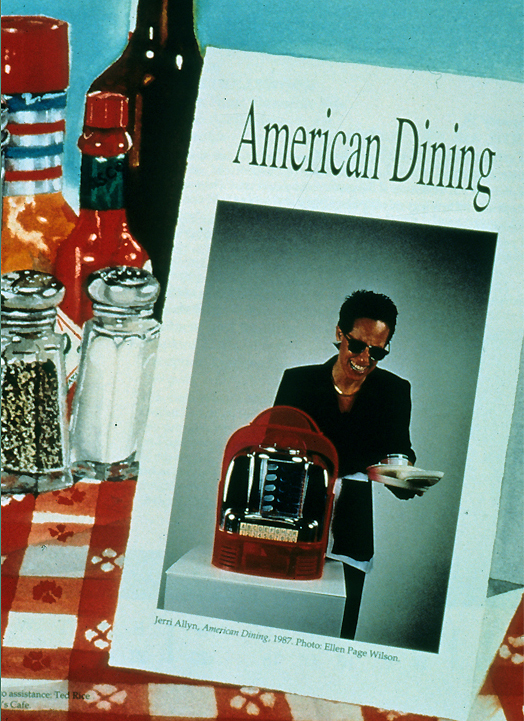 Caption-Top Photo American Dining: A Working Woman’s Moment installation of artist-designed jukeboxes and placemats by Allyn and The Waitresses, Market Café at Pike Place, Seattle, WA, Jan-Feb 1988. 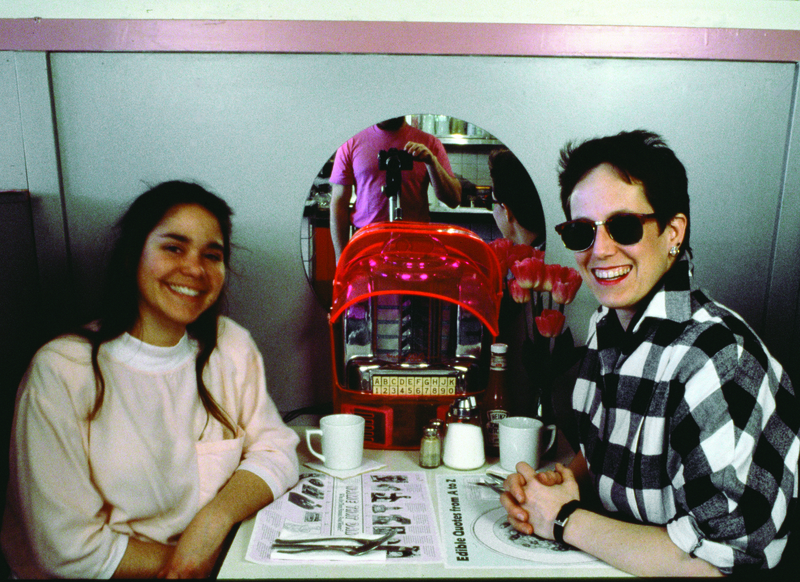 Pictured: Café waitress Llordes Velasquez with Jerri Allyn (right). 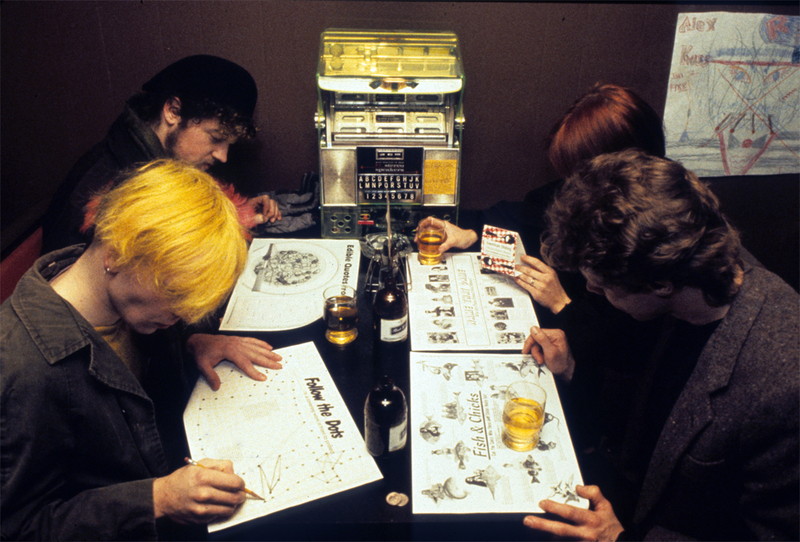 Copyright: The Waitresses – Jerri Allyn and Anne Gauldin. Photographer: Blake Grinstein. 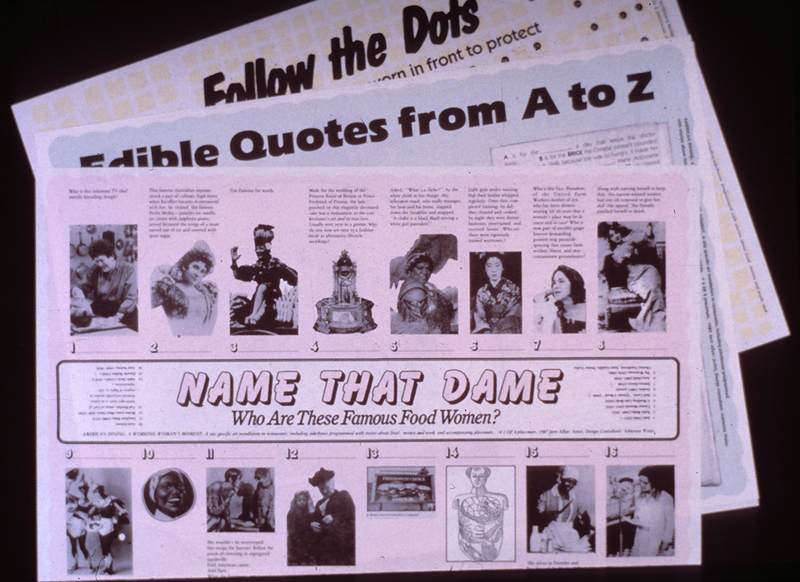 Courtesy of: The Woman’s Building Image Bank at Otis College of Art and Design, Los Angeles, California, USA.